I think I’m going to want to build this one. 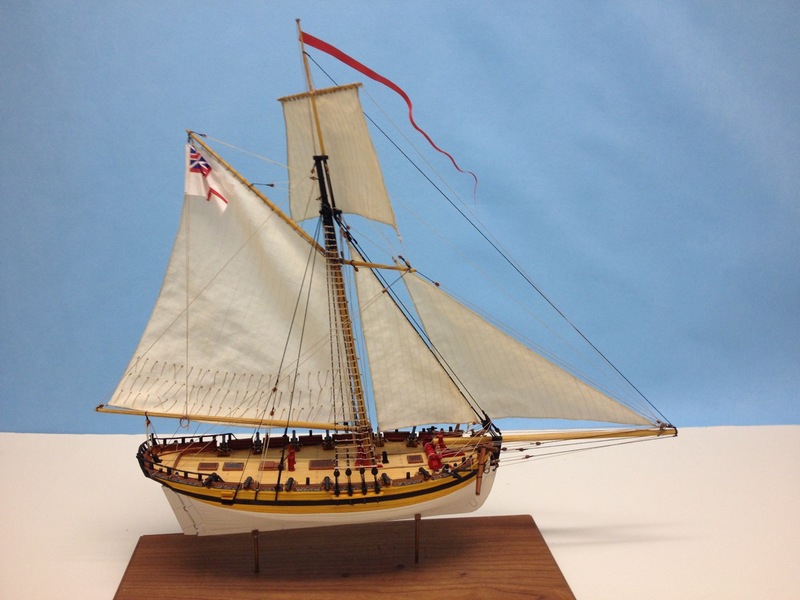 The only other wooden kit of this ship, HMS Beagle, is the one that was made by Mamoli way back, and it looks nothing like the real HMS Beagle. I’m sure you can figure out what ship this is. We don’t have an exact date of delivery, nor do we have pricing. But, this kit from OcCre of Spain is a 1:60-scale wooden ship model kit that will measure a bit over 28″ long and just under 19″ tall. We’re hoping to have them in March sometime. 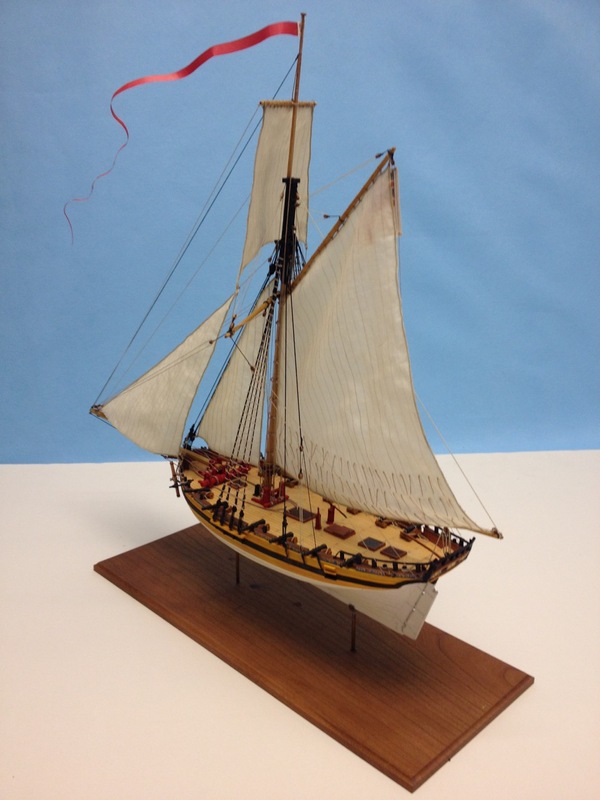 This entry was posted in All News, Ship Modeling News, Vendors and tagged HMS Beagle, Occre on February 13, 2019 by catopower. It’s been just about three years since I last wrote about researching the Kanrin Maru, and I really haven’t done much about it lately, but I did start construction of the 1/75-scale model based on the kit from the Japanese wooden model kit manufacturer, Woody Joe. The model is being constructed with modifications based on my research. I started construction long ago on this model, but set it aside for other, higher priority projects. Recently, I realized that I don’t have any models on permanent display anywhere. My only models on display are my Japanese traditional wooden boat models that I put on display in San Francisco’s Japantown a couple times a year. 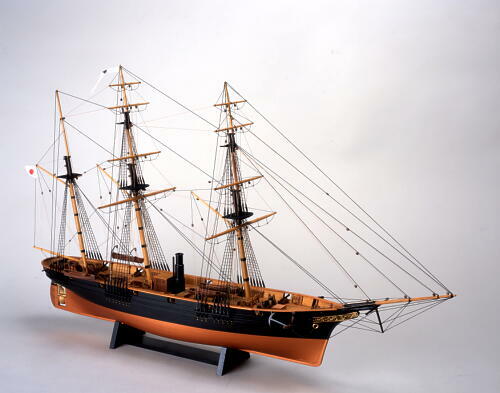 There is a possibility that I could build this model and have it on display at the Mare Island Museum, where they have an existing display dedicated to the Kanrin Maru’s 1860 diplomatic mission to San Francisco. Woody Joe’s 1/75-scale Kanrin Maru kit. This entry was posted in Kanrin Maru Build, Ship Model Build Logs, Ship Modeling News, Woody Joe on November 12, 2018 by catopower. 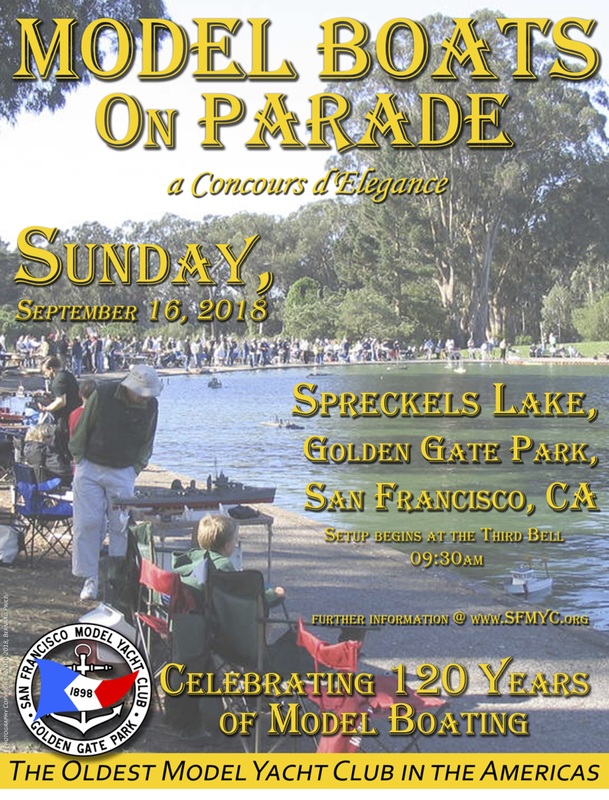 Sorry, I know this is a very last minute posting, but I was just reminded that the San Francisco Model Yacht Club is holding its annual model boat event tomorrow, Sunday, September 16, 2018, at Spreckles Lake in Golden Gate Park. The event setup begins at 9:30am. It’s open to the public and should go on most of the day. The club will have its clubhouse open, so you can view various boats on display that aren’t out in the water. Plus, you’ll have an opportunity to see all kinds of powered RC models, some small, some VERY BIG, plus RC sailboats. There’s even a group that does free sail racing, where the boats, powered only by the wind, are pre-set to guide themselves across the lake. This entry was posted in Clubs and Organizations, Ship Modeling News and tagged Model Boats on Parade, San Francisco Model Yacht Club on September 15, 2018 by catopower. Speaking strictly for myself, this is sad news in that the magazine was a great way for me to get written material out to a wide audience. I’ve personally had five articles published in Ships in Scale over the years, but no more. Still, this is an opportunity for the Nautical Research Guild to expand the Nautical Research Journal and to hopefully pick up some of those Ships in Scale subscribers to reach a larger audience. This entry was posted in Ship Modeling News and tagged Seaways' Ships in Scale on July 9, 2018 by catopower. At the 2016 NRG Conference in San Diego, CA. Photo by Ryland Craze. And, since Ages of Sail needed some kind of Youtube presence, I took my review photos, construction photos, and completed model photos, and put them together into a slide show with text transitions and some classical music. This entry was posted in Card Models, HMS Alert - Card Model Build, Ship Model Build Logs, Ship Modeling News and tagged HMS Alert, Naval Cutter, Paper Models, Ship Model Kit, Shipyard on July 1, 2018 by catopower. I just put up a post about the frame model kits from Ship Model Okumoto and immediately found some interesting stuff on Youtube. Here is just one of the interesting videos showing one of the models going together by the kit designer Akira Okumoto. 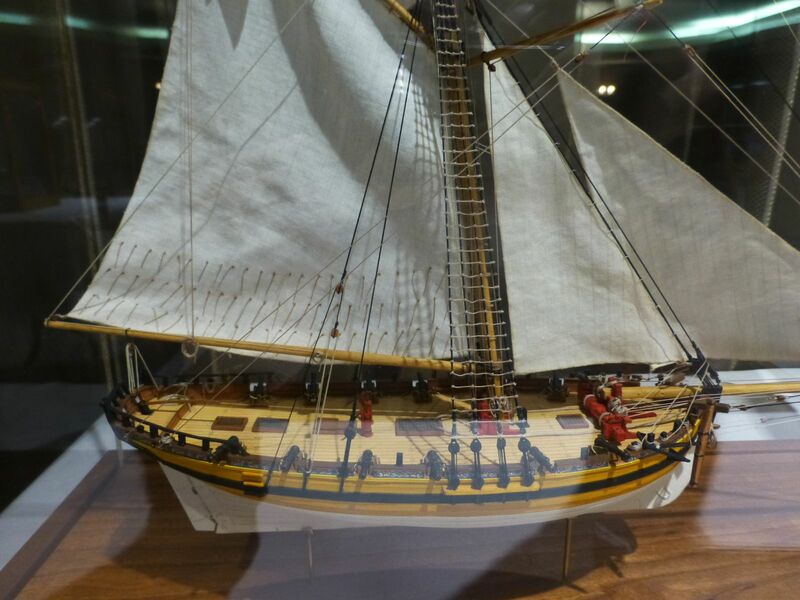 In this case, it’s the model of the French warship La Couronne. What I find particularly interesting, beyond the kit itself, is how he doesn’t use any kind of framing jig to build it. He also makes cuts to the wood with a Japanese-style saw freehand, just following a line he draws on the wood. There’s no final sanding for correction. He just cuts the wood and glues it into place and that’s that. There are several videos. Of course, he’s speaking Japanese, but most of video is just following the build. Interesting stuff! This entry was posted in All News, Ship Modeling News, Vendors and tagged Ship Model Kit Manufacturer on June 30, 2018 by catopower.